William Morrow Paperbacks, 9780062274243, 320pp. A tale of love and marriage, society balls and courtship, class and a touch of scandal, Pamela Mingle's The Pursuit of Mary Bennet is a fresh take on one of the most beloved novels of all time, Jane Austen's Pride and Prejudice. Pamela Mingle is the author of Kissing Shakespeare, a time-travel romance for young adults set in Elizabethan England. She is a member of the Society of Children's Book Writers and Illustrators, Pikes Peak Writers, Romance Writers of America, and the Jane Austen Society of North America. Austenophiles rejoice! Here at last is the untold story of the forgotten Bennett sister. 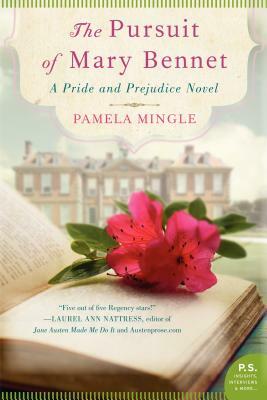 Pamela Mingle transports us to Regency England for a delicious tale of the triumph of love over awkwardness.